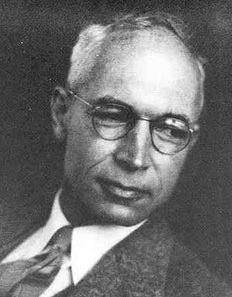 Clarkson Crane (September 20, 1894 – June 30, 1971) was a writer and Lecturer in English Literature at the University of California Extension School. He was born in Chicago on September 20, 1894, the only child of Harold Osland Crane and Elizabeth Clarkson Crane. His parents were from well-to-do Ch icago families, and Clarkson was raised in the privileged world of Chicago’s Near North Side. He attended the Chi cago Latin School until his family moved to the Marysville, California area around 1910. Crane graduated from the Thacher School in Ojai, California the following year. It had always been assumed Clarkson would attend one of the Ivy League universities, but a financial reversal that severely affected the family fortune prevented him from obtaining that goal. He instead enrolled in school at the University of California, in Berkeley, from which he graduated in 1916. While at Berkeley he contributed material to the campus literary publication, The Occident, and worked on the campus humor publication, The Pelican, and the yearbook Blue and Gold. In 1917, after a year of writing, Crane joined the Unite d States Army along with several Berkeley friends. He became an ambulance driver during the war, and took part in the campaigns of Aisne and Champagne in 1918, and was later given the Croix de Guerre Citation for bravery under fire. He was honorably discharged from the Army at the Presidio in San Francisco in 1919. Over the next several years Crane continued to write, at his uncle’s home in Carmel, in San Francisco, and in New York. During this period he had several stories published in The Smart Set and The Dial. In an extended visit to Paris in the mid-1920s, Crane wrote his first, and most successful novel, The Western Shore. Returning to San Francisco in 1926, he became a Lecturer in English Literature, and in English Grammar, at the University of California Extension School, and was a night re ference librarian at the Mechanics Library in San Francisco. In the same year, Crane met a young native Californian, Clyde Evans, through a mutual friend. A romance ensued that turned into a lifelong relationship; when Crane died in 1971 he and Clyde had celebrated 47 years together. During this period he also met a young lesbian poet named Elsa Gidlow. Elsa and her companion Tommy (Violet Henry-Anderson) formed a lasting friendship with Crane and Evans. Both lived for a time on Joice Street above San Francisco’s Chinatown, and Clarkson’s letters to Gidlow hint at the strength of this relationship, based in part on their common interest in writing.